Is your playhouse falling apart?? Fix it up with this super fun Tool Box Pattern! 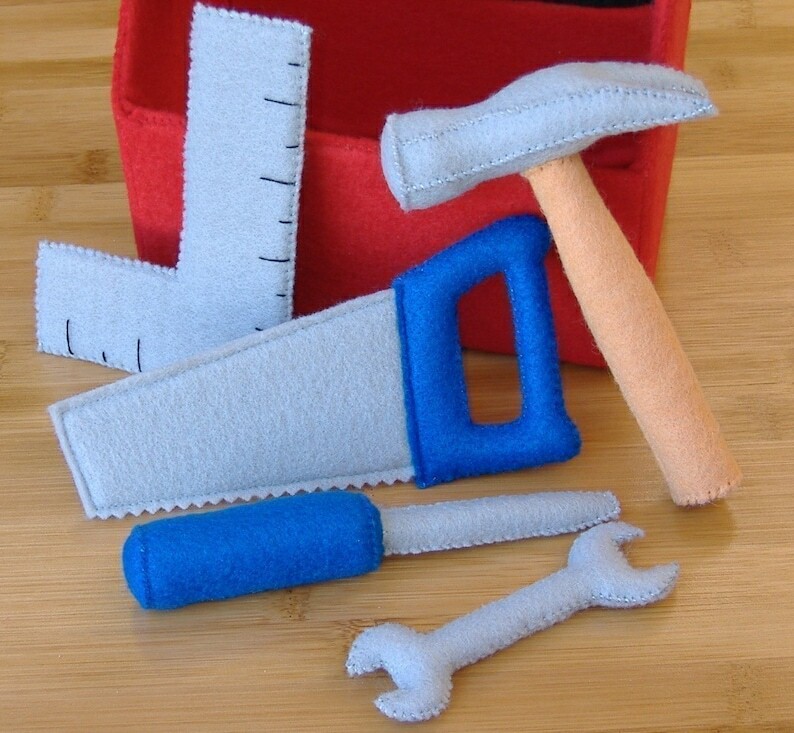 Everything you need is included with this pattern: a hammer, screwdriver, square, wrench, saw and a cute tool box to keep it all in! Explications claires et joli fini. Par contre, je croyais que c'était un peu plus grand. Super cute pattern--easy to download. Now, i just need to find the time to work on it.